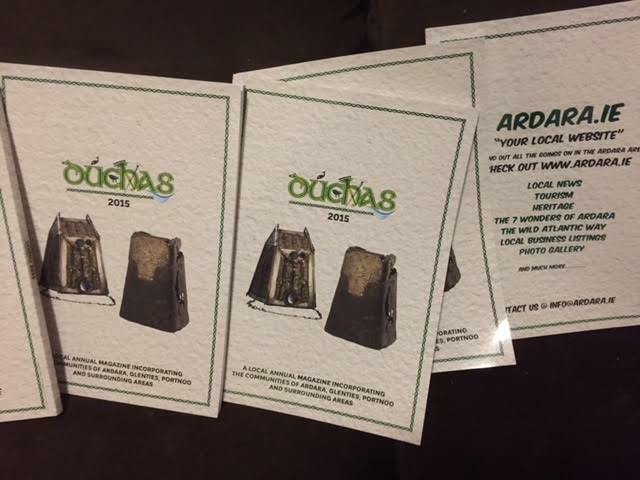 This Friday night November 25th at 8pm in the Nesbitt Arms Hotel, the second edition of Duchas will be officially launched by the present Chairman of Donegal County Council, local man Terence Slowey. This is a wonderful event in conjunction with Owenea FM, who on the night will be announcing news of the new radio licence. Duchas this year incorporates wonderful contributions from Ardara, Glenties, Killybegs and surrounding areas with one lovely piece by Ireland Captain Seamie Coleman. Everyone is so welcome from everywhere with complimentary food from 8 to 9.30 and then that great star of music takes to the stage, Shaun McMonagle.